Orange County college student who loves to eat…as simple as that. 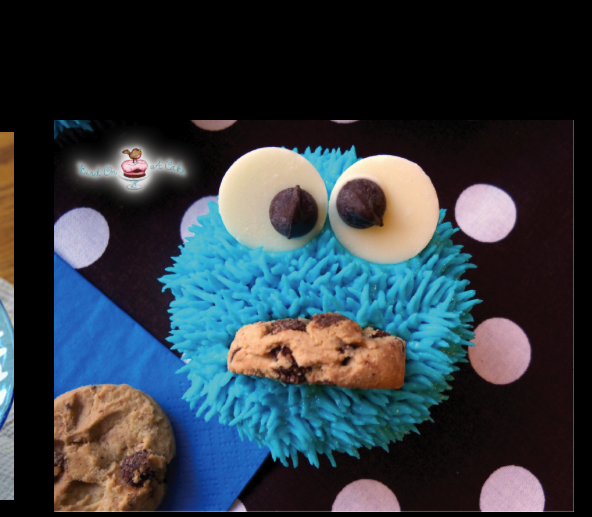 I love cupcakes, and I love cookie monster so why not make cookie monster cupcakes? I made these because I wanted to try something new and it doubled as a birthday gift, so why not?! These were surprisingly painless! Don’t let the frosting fool you; the tip does all of the work for you. After baking the cupcakes and waiting until they are completely cooled, you’re ready to frost! Using a piping bag, your wilton tip, and a couplet never hurts, you will frost the cupcakes. Alls you’re creating is a grass like texture to represent cookie monsters hair. Once the cupcakes are frosted you’re half way there! Take a couple chocolate chips, dab some frosting on the back of them, and then stick it onto the BACK SIDE (flat side) of the candy melt. 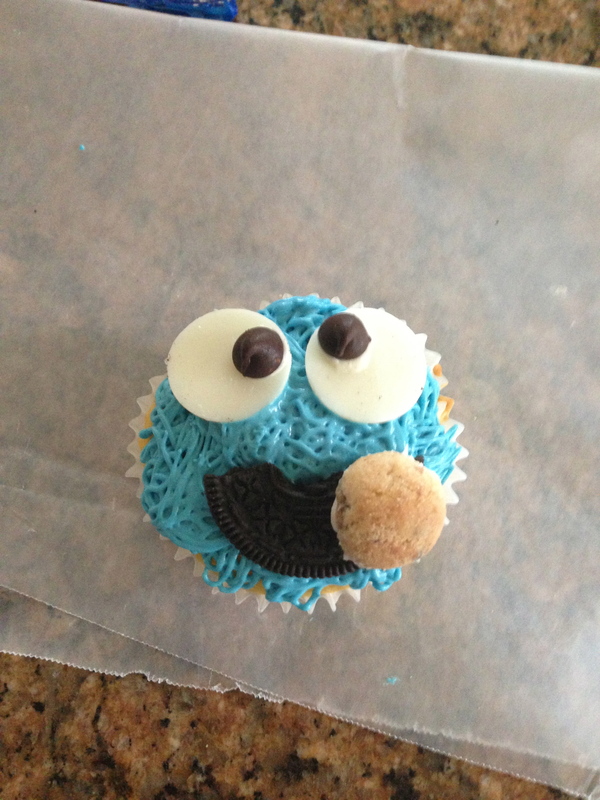 On some of the cupcakes, I placed the eyes so they looked like googely eyes to add some fun effect. Next carefully place onto the cupcakes. Now, take an oreo, cut it in half, and only use one side to stick onto the cupcake as the mouth. If you use both sides of the oreo it might not stay as well. In the last step you will take the mini chips ahoy, agin dab some frosting on the back, and stick onto the oreo mouth. 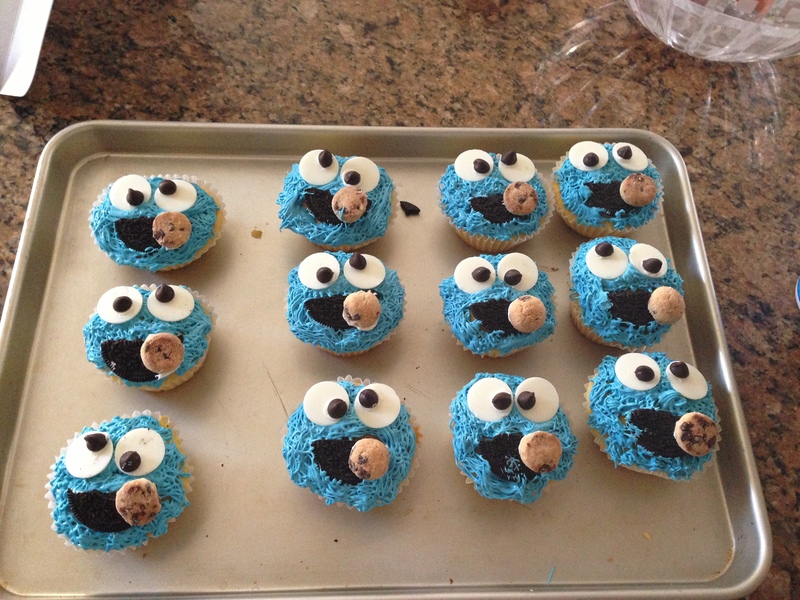 Many cookie monster cupcakes are much more complicated than this, and while mine didn’t come out perfect, I thought they were pretty darn cute! Hope you enjoy!